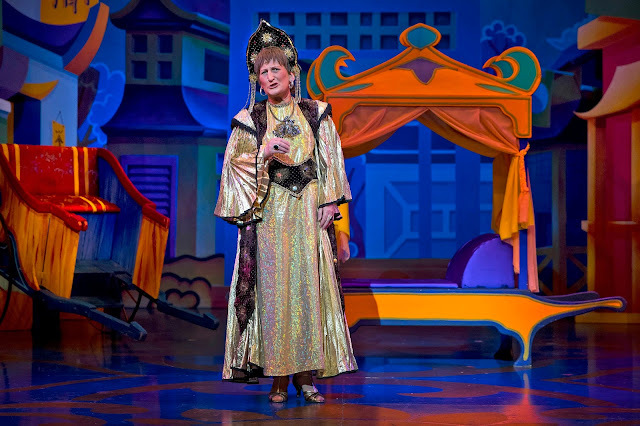 You know when all the pantomimes begin its almost festive season and Tuesday saw the Wolverhampton Grand open their performance of Aladdin. 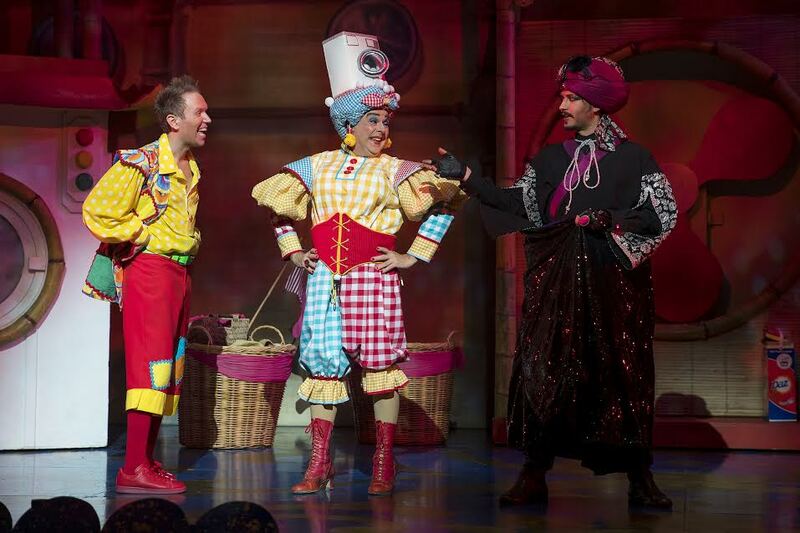 It was such a delightfully funny version of Aladdin starring a whole host of stars. Now I wasn't really sure what to expect, one I haven't been to a pantomime in years, yes I know, but two Jack had never been to one, I wasn't sure how he would react, if he would enjoy or even if it would be suitable. But, honestly I don't know why I worried, he absolutely loved it and already has asked to go to another performance and to book for next year. 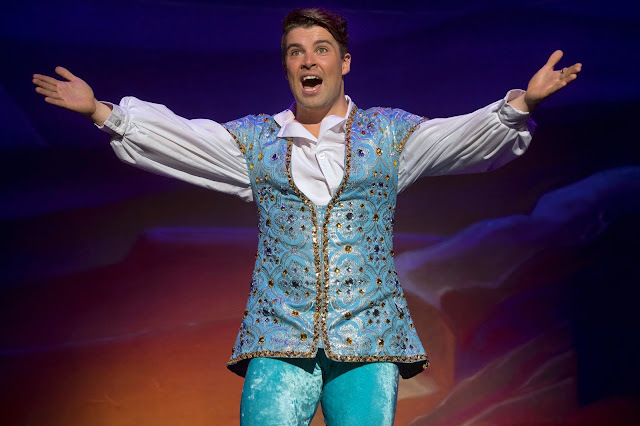 So, back to the performance, the main man is of course played by X Factor winner Joe McElderry with his amazing vocal talents. He was teamed up with a woman of vocal talents being Britain's Got Talent's Lucy Kay. Their vocal skills were matched perfectly and their on stage relationship was perfect, they handled the key roles perfectly with some fun mixed in with the aim of the performance. 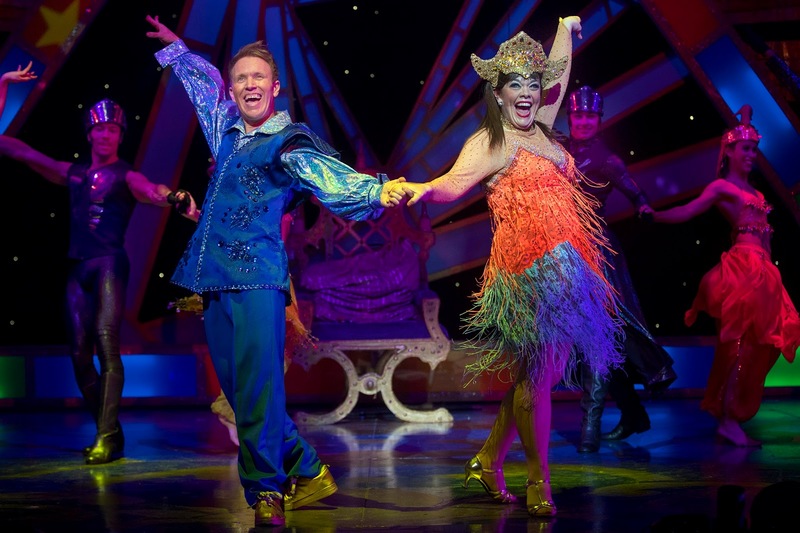 But, there is no pantomime without the comedy sketches which were perfectly acted out by Adam Booth, Lisa Riley, Ian Adams and of course Doreen Tipton. I'll be honest I wasn't sure of the line up when I saw Doreen sorry Black Country but it was 'bostin'. She certainly stole the show. Every single scene in which Doreen was in she stole them with her hilarious stories and comedy lines. I truly believe Doreen is what made the laughter for the adults. Adam Booth, playing Wishy Washy was a good match on the comic sketches though aiming more at the kids laughter. He was the perfect quick witted character with amazing costumes getting crazier throughout. Although not quite as crazy as those of Ian Adams playing Widow Twankey. Then we have Lisa Riley, a feisty slave with sass, again with amazing costumes and even getting to show off her amazing dance skills which saw her through Strictly Come Dancing. 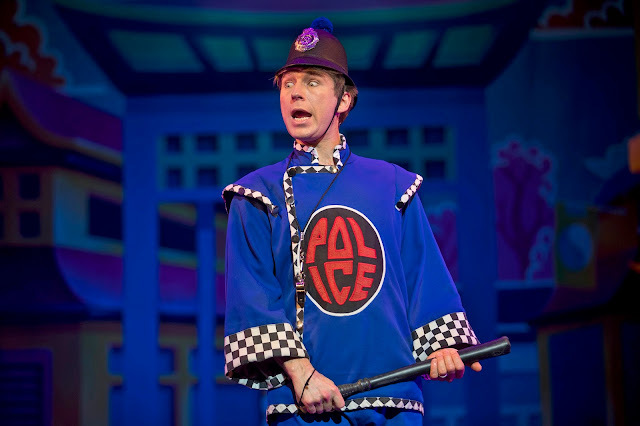 For the children there was Ben Faulks, aka Mr Bloom who played PC Ping Pong. He was of course Jack's favourite character and seemed to be a panto natural on stage, who would have known. Then as each panto does, a baddie is required and this come in the form of Abanazar played by Stefan Pejic, such a great stage darkness which scared Jack each time he came on. We enjoyed the whole show, but when asking Jack his favourite part it had to be the showcase song which saw Lisa Riley, Adam Booth, Ian Adams and Ben Faulks perform some sort of crazy song with lots of mishaps and plenty of laughter from everyone. With amazing choreography, vocals along with an amazing elephant and flying carpet this was truly the most enjoyable entertainment to watch this festive season for the entire family. We loved every single moment. Aladdin is on stage at Wolverhampton Grand from now until Jan 22nd, you can book tickets here.